Image Source, Source 1, Source 2, Source 3, Please Make Season 5 Great! 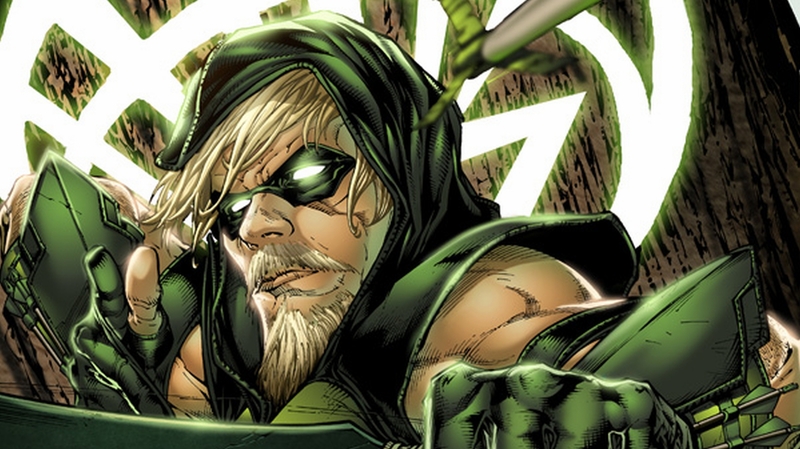 Green Arrow might have been a B-List superhero back then, because of his lack of powers, but now he dominates The CW network in his own prime time drama, entitled Arrow. 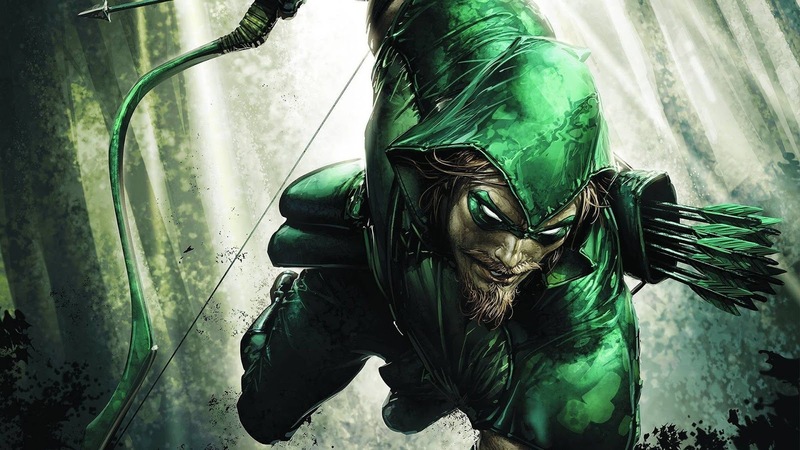 Arrow's success has reinvigorated attention for the Modern Day Robin Hood, but actually, his popularity started around the same era Superman and Batman were created. He has appeared in numerous animated shows, including the Justice League Unlimited and Batman: The Brave and The Bold animated series, and games such as Injustice: Gods Among Us. However, long before his new found glory in the silver screen, there was suppose to be Super Max, which is then re-titled to Green Arrow: Escape From Super Max. With the Green Arrow hitting bad guys here and there in the silver screen, it begs the question, what happened to Escape From Super Max? Dateline Movies dives back again into Hollywood's incredibly large trash bin to discuss the whereabouts and what we could have expected from this currently unmade script (They do keep on saying they'll get back to it as soon as possible.). Fortunately, we have a leaked script. Source, That Was A Close Call! 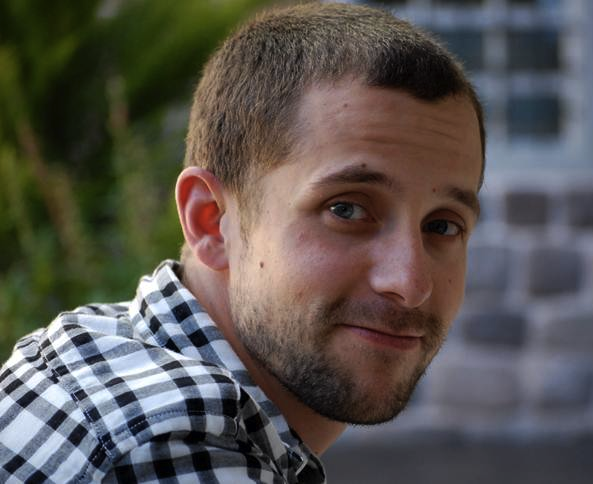 Before the green-colored archer hit it big time in the television scene, screenwriter David S. Goyer, notable for writing and directing Blade: Trinity, teamed-up with Street Fighter: Legend of Chun-Li scribe Justin Marks, to write the story of Green Arrow: Escape from Super Max. 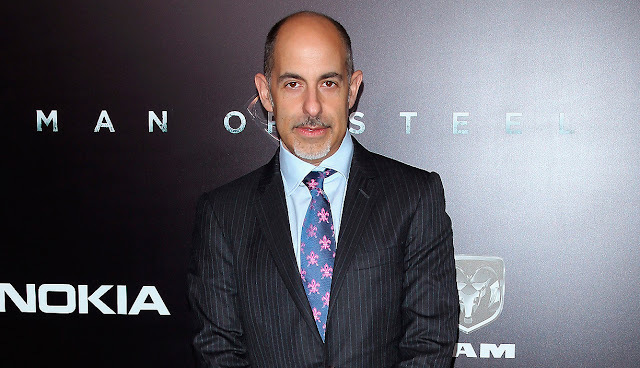 During this time, David S. Goyer would have garnered success as well because of his work with Batman Begins, and Justin Marks would not yet relatively be a household name. With Goyer's originally planned project on The Flash reportedly canned before it even hit casting stage, he decided to move-on to a certain emerald bowman for a film adaptation. The result was suppose to be about Green Arrow framed for a crime he did not commit and must now survive a hostile environment in the form of a prison which incarcerates so many of his enemies, ranging from the infamously evil, to the obscurely irrelevant. As of now, there are no confirmed cast members and production crew mates. The following story outline is a simplified and shortened version of the leaked script. For more information on the complete story, click here. While attending a fundraiser sponsored by his company, Oliver Queen leaves the party after he heard of an attack at a government agency headquarters known as Checkmate located at the other side of his hometown Star City. Upon listening to the police scanners on the coordinates of the crime, he is lured into a warehouse, with a notable Checkmate official, Col. Taleb Beni Khalid, killed by the same arrows Oliver uses, revealing that this was a set-up. 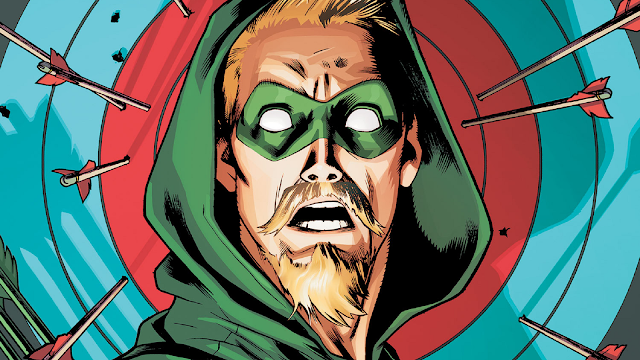 The police soon apprehend Green Arrow, revealing to the world that he is billionaire and entrepreneur Oliver Queen, and his friend Will Hackett tries to free him from the case. Believing that he killed Khalid because of Khalid's hatred for superheroes, Checkmate agents bring him into Super Max via airplane. There, he is met with hostility both from the facility's warden Amanda Waller, and from the many supervillains housed in the prison, including Cameron Mahkent or Icicle Jr., who has ice-based powers, and Shock Trauma, who can manipulate electricity. After sleeping for the night and learning that the prison changes the layout of holding cells, he befriends B-list supervillain Split, who has the power of teleportation, and gives him a tour of the area. While eating at the prison's cafeteria, members of the villain group Aryan Brigade, composing of Heatmonger, who can generate heat, Backlash, who has whip-like abilities, and Iron Cross, who has super strength, picked a fight with Oliver, recognizing him as the hero after Mahkent tells everyone in jail of his identity. Originally hesitant, he decides to beat each one of them after they forced him to. 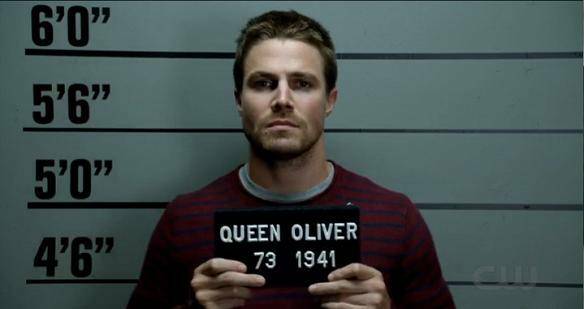 This causes Oliver to be put in a different kind of solitary confinement for six weeks. The experience nearly drove him insane, but was motivated by fellow inmate Hartley Rathaway, also known as the Pied Piper, through his mind-controlled ants to break out of prison. This also forces Oliver to join with many more of the dangerous inmates in Super Max. To escape, they must need some items to create an electromagnetic pulse, which would be gathered by the Tattooed Man, who can use his tattoos to stealthy gather the materials, with the pulse then allowing technopathic villain Djinn to roam freely, since he can disable their tracking devices the "Parallax Devices". Learning that they are somewhere within the Pacific Ocean, Oliver and Harley recruit Cascade, who can control the ocean's currents, much to Oliver's disapproval. Split and Icicle Jr. are eventually recruited into the group, while Gemini, who can shape-shift, wants to join. The next day, Oliver learns that Merlyn, who makes use of a similar style as Green Arrow's, is incarcerated in Super Max, and he discovers that he was the one who framed him. Merlyn threatens him that they will remember him instead of Oliver. Oliver is then tasked with janitor duty for the night after that. While doing this, he sneaks into Djinn's cell block, wherein he allows Djinn to upload himself into Oliver's improvised USB drive. 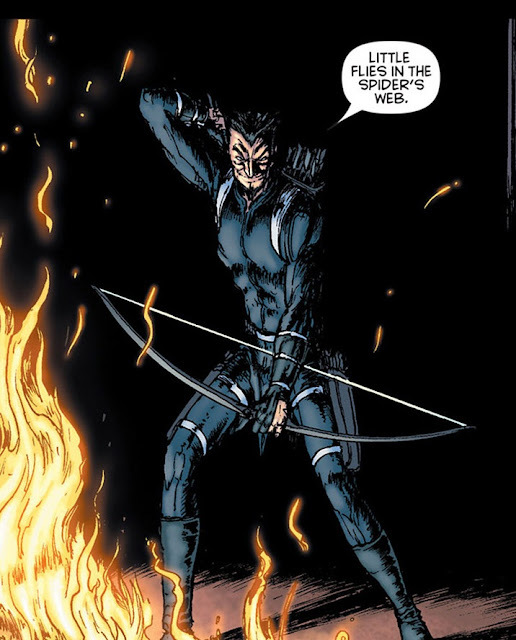 At the same time, Merlyn, freed by an officer under Merlyn's employer's payroll, begins to hunt for the Green Arrow with his own improvised bow. The two engage in a battle in the laundry area of the prison, and it ends when Oliver injures Merlyn. Unfortunately, the corrupt officer, Penotti, leads an assault squad to recapture Oliver. Using Merlyn's bow, Oliver makes his way to a USB port and unleashes Djinn, resulting in total facility blackout and the shutdown of the Parallax Devices. As prisoners such as Shock Trauma and a man with super strength known as Blockbuster cause chaos, Oliver meets-up with Hartley, Icicle Jr., Cascade and Split, with Split eventually being killed by Blockbuster, who wants to escape as well, after murdering Shock Trauma. The group is then joined by Gemini. Source, It Ain't Easy Being Green! Amanda Waller gets security up and running again after containing Djinn in a firewall, giving all prisoners severe shock upon the reactivation of the Parallax Devices. 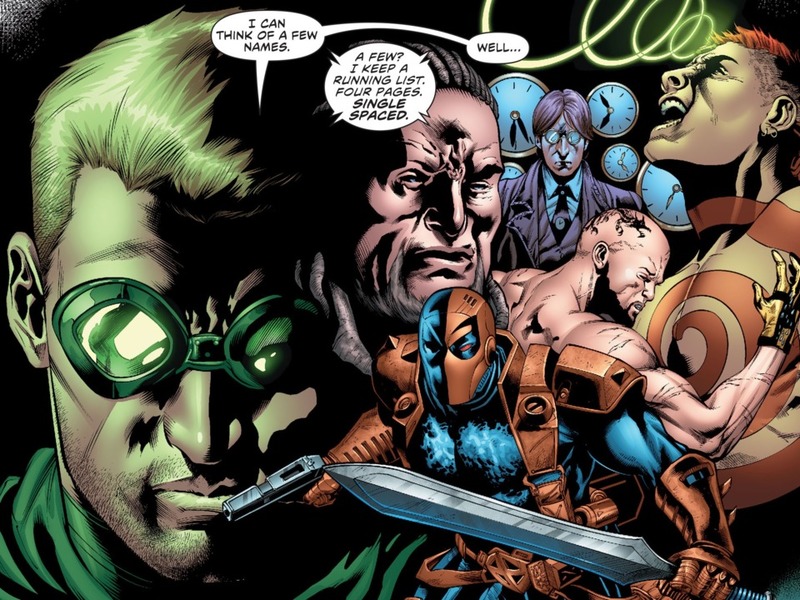 To apprehend Oliver's group of escapees, Waller sends in a special Checkmate containment unit, with about much of them slaughtered by Harley's mind-controlled rats, which Oliver and the group used to get the devices out of their system. They then make their way through a rat-chewed hole, which leads them to the near-top. With the use of his makeshift map of the prison, Oliver leads the group through the ever-shifting plane of the prison. They reached the outside, only to realize that they are actually in the Arctic. Cascade is later killed by Checkmate agents while she is frozen because of the climate. With their vehicles destroyed, Blockbuster, Hartley, Icicle Jr. and Oliver march their way to a nearby port, but they all begin to suffer from fatigue. Luckily, an old man provided them sanctuary in his science station, but they soon realize that it is a Checkmate outpost. The guard in the outpost shoots Hartley in the chest, killing him. Checkmate agents storm in the facility as Gemini stays behind to fight the armed men. With no choice left, Waller activates the self-destruct mechanism of the facility, killing Blockbuster in the process. As Oliver and Icicle Jr. ride in their snow mobile, the two, with Gemini, hide under a container under the impression that it has no heat signature thanks to Icicle Jr.'s powers. 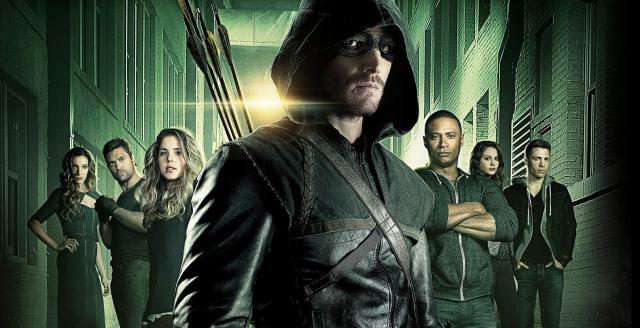 Source, "My Name is Oliver Queen"
Eventually, Icicle Jr., Oliver and Gemini make it to Star City, with Icicle Jr. walking away a free man, while Oliver and Gemini meet-up with Will Hackett, who Oliver learns is the man who framed him, as he wants, with his partner Marcus Cross, to take over Queen Industries. Hackett also hired Merlyn to finish the job in prison. As Hackett leads federal agents to his location, Gemini makes a distraction for Oliver to escape, resulting in a chase between Oliver and the agents. Now in-costume, Oliver, with Gemini, ambush Hackett at his office, where Oliver also learns that Hackett was responsible for nearly drowning Oliver three years ago. The police are about to shoot Oliver, but saved at the last minute by Amanda Waller, who discovers that Oliver has been framed the entire time, but not before pretending Oliver's rearrest. Hackett and Cross, are placed under arrest, but Cross decides to commit suicide by jumping from his apartment. Gemini is brought back into Super Max again, and is visited by Oliver, with Gemini's daughter Rogue, offering his thanks for aiding him. 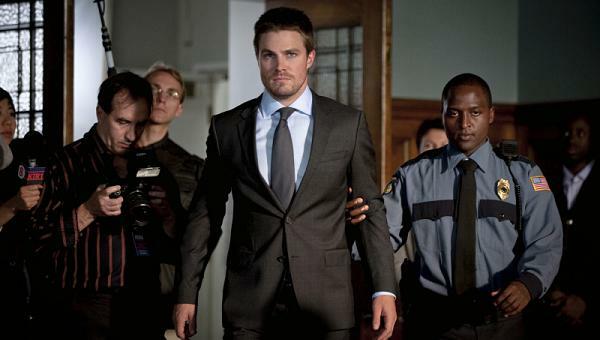 As Hackett sobs in chains, Oliver resumes his crime-fighting career as the protector of Star City, the Green Arrow. By the time the script was about to be signed, sealed and delivered to Warner Bros. doorstep, the studio was very much enthusiastic about the project. Given that Escape From Super Max would be featuring many villains originating from many familiar rogues' galleries, including the Flash's, the Batman's, and Superman's, a shared-universe would have been inevitable. The attention for the project increased with Iron Man launching the Marvel Cinematic Universe. Goyer and Marks wanted to add another writer into their team. Sadly, Warner Bros. decided to pull the plug from the project immediately, deeming that a movie about villains would make "no sense". Because of this, Warner Bros. pushed forward with creating more Batman and Superman movies, eventually creating the DC Extended Universe, with Goyer invited back to write Man of Steel and Batman v. Superman: Dawn of Justice, with the latter with Chris Terrio. 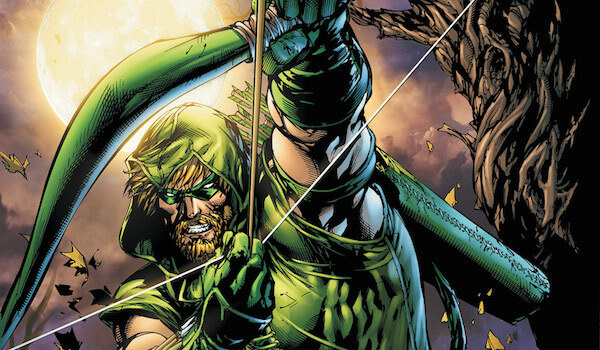 Green Arrow would be picked-up for a prime time superhero drama in The CW under the title, Arrow. Stephen Amell stars as Oliver Queen, and the success of the show resulted into the Arrowverse, a fictional shared-universe between shows. As ratings continue to rise, spin-offs were officially added, including The Flash, starring Grant Gustin, DC's Legends of Tomorrow, an event series, and the web-series Vixen. Other channels made their own shows with DC's properties as well, with these programs later on crossing over into the Arrowverse. These shows include the now cancelled Constantine and Supergirl, starring Melissa Benoist. 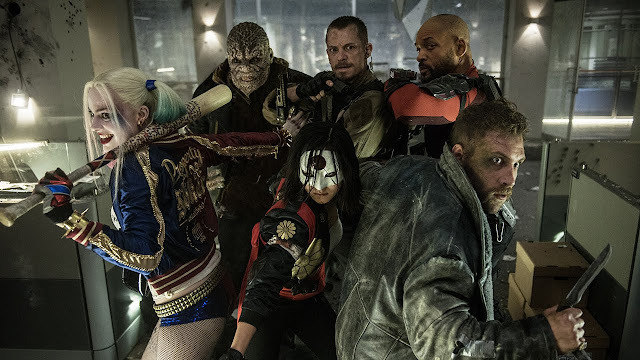 Ironically, a few years after Escape From Supermax was cancelled, Warner Bros. confirmed a villain-centric movie for the DC Extended Universe known as Suicide Squad, starring the likes of Will Smith, Margot Robbie, Joel Kinnaman, Viola Davis, Jai Courtney, Adewale Akinnuoye-Agbaje and Jared Leto. The film would follow a bunch of villains hired by the government to do suicide missions if they want to walk away free people. Marvel and Sony also tried to create a Sinister Six film, but those plans are currently on hold. Even though David S. Goyer and Justin Marks aren't the best screenwriters in the room, I'd have to give them effort for at least making something that was really ahead of its time. Back then, nobody cared about the bad guys, and now they're more than just thorns behind heroes' backs. Hopefully they can save the script by integrating some of it into Arrow's Season 5. Besides, they need fresh new ideas, given that Seasons 3 and 4 have been lackluster. How about you, would you have enjoyed Green Arrow: Escape From Super Max in the big screen? Let us know in the comments! Also, please enjoy Arrow and Deathstroke's, played by Manu Bennett, battle at Season 2's finale, Unthinkable! DISCLAIMER: Green Arrow and all related elements are properties of DC Comics, with the character of the Green Arrow originally created by Mort Weisinger and George Papp, the film Green Arrow: Escape From Super Max's Script and Story Ideas are properties of Warner Bros. Studios. This post is strictly for entertainment and informational purposes only, and is under the "fair use" category. No copyright infringement intended. Tagged: David S. Goyer DC Comics Escape From Supermax Green Arrow Inside The Trash Bin Justin Marks Movie Miscellany Prison Break Superhero Supervillains Unreleased Films Warner Bros.